July and August are the months to sample the new Designer Series Paper! Here are the details. There are 4 different groups to choose from. The first three groups (groups 1-3) contain 60 double-sided 6"x6" sheets--2 squares of each sheet from 5 different Designer Series paper packs. The fourth group (group 4) contains 36 double-sided 6"x6" sheets--these include textured, cover-weight cardstock and assorted diecuts. 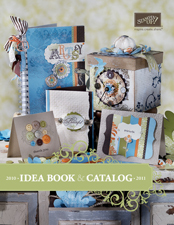 You can view these patterns by looking at pages 160-163 in the new Idea Book & Catalog 2009-2010. You may participate in as many groups as you would like. The prices listed below include Priority Mail shipping and tax. Plus, there's an added bonus if you participate in all 4 groups! This share is open to anyone in the US. If you participate in ALL 4 GROUPS, you'll receive a Classic Ink Pad (your choice of color) absolutely FREE! Indicate the color you would like when placing your Summer Paper Share order! Feel free to ask any questions you may have. I will be placing this order on August 17, so please email me with your order by August 16. 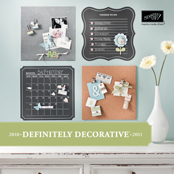 October is the month to sample the new Designer Series Paper! Here are the details. There are 5 different groups to choose from. Each group has 48 double-sided 6"x6" sheets--2 squares of each sheet from 4 different Designer Series paper packs. You can view these patterns by looking at pages 168-171 in the new Fall/Winter 2008 Idea Book & Catalog. You may participate in as many groups as you would like. The prices listed below include Priority Mail shipping and tax. As you can see, the more groups you participate in, the more you'll save! Plus, there's an added bonus if you participate in all 5 groups! This share is open to anyone in the US. If you participate in ALL 5 GROUPS, you'll receive a Classic Ink Pad (your choice of color) absolutely FREE! Indicate the color you would like when placing your October Paper Share order! Feel free to ask any questions you may have. I will be placing this order on October 31, so please email me with your order by October 30.